The 4T MRI stripped down and ready to be transported. A powerful magnet from an MRI machine at the University of Queensland's Centre for Advanced Imaging will begin a new life in Switzerland as part of an experiment investigating the foundations of the universe. The 4 Tesla magnet will be installed at the world's premier physics laboratory, CERN – home of the famed Large Hadron Collider. 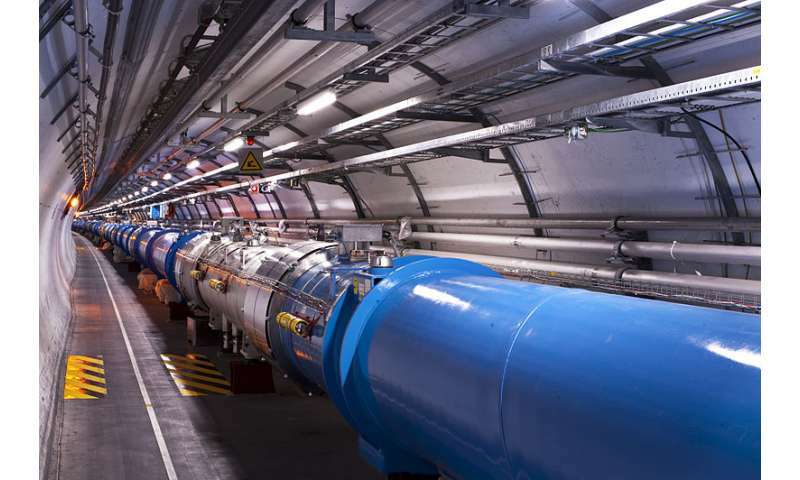 University of Liverpool nuclear physicist Professor Robert Page, who researches at CERN's ISOLDE facility, said the magnet would be rebuilt for a special purpose. "At the centre of the magnet we will place a target made from a thin plastic foil containing hydrogen," Professor Page said. "This target will be bombarded with high-energy beams of unstable nuclei and the ions emitted will be bent by the magnetic field onto our detectors that we use to measure their energies. The measurements will allow scientists to learn about the forces at work inside atomic nuclei. "We study what arises from this delicate interplay between the strong forces that pull the neutrons and protons together and those that work against them." "This will give us insights into the fundamental forces of nature and the creation of elements in exploding stars." Centre for Advanced Imaging Director Professor David Reutens said was excited the magnets can be useful in making new discoveries. 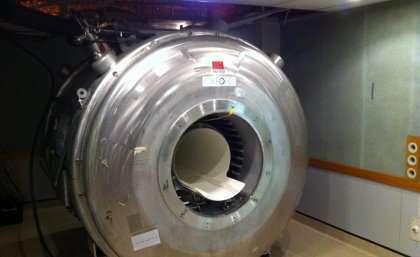 "The magnets from this MRI machine have been at the forefront of many research programs since 2001," Professor Reutens said. "The 4T scanner was the most advanced for its time." Some of the successful projects include researching communication recovery for stroke victims, studying dopamine effects as well as studying memory and behaviour. New imaging research will be undertaken on CAI's 7T 'super scanner' which was installed last year and is tipped to greatly improve research in brain, heart and joint disease.